A Robin Hood kit car was a British based kit car manufacturer based in Nottinghamshire; the Robin Hood kit car factory was a fair size at around 0,000 square feet and was situated on one and half acres of land, which is pretty good grounds to build a nice kit car company. The Robin Hood kit car company was started in 1984, and they were making Ferrari Daytona replica’s based of the Rover SD1’s. Three years later in 1987 the Robin Hood company decided to make a change in direction and started manufacturing the S7 which is pretty much a Lotus, Seven inspired kit car and that is where the Robin Hood that I know and love was created from. In 1989, Robin Hood produced another kit car, which was based using the extremely popular Triumph TR7, and the kit price started off at a low £996 +VAT, which was very attractive to a lot of petrol heads up and down the United Kingdom. With more and more kits being sold the Triumph TR7 was replaced by the Triumph Dolomite which gave a lot more options for engine choices. This meant it would appeal to a larger range of people on a wider range of budgets as the Triumph Dolomite offered engines from 1100cc to 2000cc and this soon pushed Robin Hood Kit cars into the limelight with a lot of kits being sold and Robin Hood gaining popularity. The trouble with Robin Hood making great progress and selling a lot of kits to car enthusiasts is that Caterham Cars would soon enough see Robin Hood Cars in High court… However, fantastic legal advice subsequently fixed the issues, and Robin Hood Kit Cars were later back, and they had to make sure they did not wander from the strict guidelines that were set as a result of the legal action. In ’96 and ’97 the sales of Robin Hood kit cars peaked at 500 kits a year, and this meant that they had to find a bigger factory and new machines to handle the extra and growing workload. However, in ’98, the introduction of the ‘Single Vehicle Approval’ test (SVA) the general public where a little unsure as to where the kit car industry was going. So Robin Hood decided to hold off and at this moment see what happens, and this was a huge blow to all kit car manufacturers let alone Robin Hood that had just increased size for the forthcoming growth. This Government move almost completely destroyed the kit car industry. This slack period in the kit car industry meant that it gave time for the owners to take a look at the whole business and what with the owner in his fifties he would have ideally liked to of walked away and sold everything and carried on enjoying his other hobbies and settled into early retirement. However, with no offers on the table and his recent investment in CNC equipment and bigger premises it meant that the only option was to soldier on and produce a new type of kit car and fight the failing kit car industry. After lots of research and development, a revolutionary chassis was designed, and it was manufactured from 8mm o/d round tube and even for experts in the manufacturing industry it was a very impressive engineering achievement. 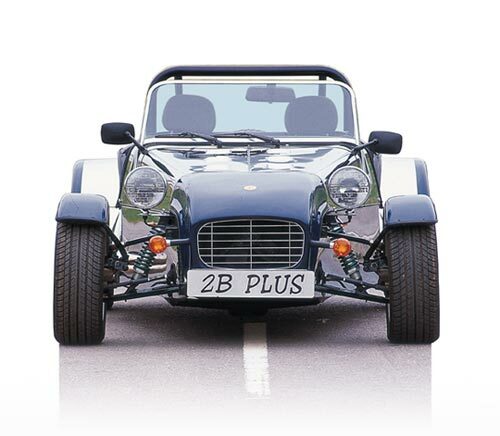 This was the flawless recipe for creating a fantastic budget kit car and what with the kit industry in trouble this was going to be an impeccable way to show the UK that a kit car is still an option and that the industry is alive and kicking after the government made the changes. The brand new designed chassis picked up the nickname of “Tubey” by the Robin Hood staff and soon enough this became the new model in the Robin Hood cars portfolio and so “Project 2B” was born. There was a Robin Hood record breaking collection of 205 kits and in one day, there was a total of 125 robin hood 2B kits collected. In 2006, Robin Hood Engineering was bought by Great British Sports Cars Ltd., and this is who is operating now and selling the Robin Hood kit cars. 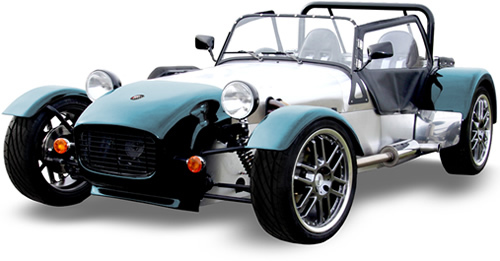 The latest of the Robin Hood Kit cars is ‘The Zero’ and this was launched in 2007 and since 2007, it has established into one of the best Lotus seven styled kit cars to exist. Great British Sports Cars Ltd says that the Zero kit car is one of the most refined cars to have ever left our factory, and it has taken inspiration from the founder of Lotus Cars, COlin Chapman. The Zero kit car is a small lightweight kit car that has combined the latest engineering technologies to produce a modern day seven styled kit car that although is cutting edge does not lose any of the famous character we all have come to know and love. The Zero is not only a fantastic road legal kit car, but it is also a fantastic track car that is very competitive and because the chassis can accommodate a wide variety of four-cylinder engines, and this opens up a lot of options for your track day experiences. What is truly popular about the Zero is that the kit car can fit into almost anyone’s budget, from an extremely low spec to a top of the range no expense spared super car. Like any other kit car, you really can decide your own budget and what with the fantastic backing of GBS and massive community following you won’t be stuck for help if you should need it. If you cannot be bothered to build it yourself, then you can always buy one that is ready built, and I am pretty certain that Great British Sports Cars Ltd can organise all of it for you. I really do hope that you have enjoyed and found this article useful on the Robin Hood kit car. If you have any questions or would like to add anything, then, please leave your comments below.